When looking at Meganisi from above, it is like a painting on a blue canvas. It is one of the largest islets around Lefkada and its distinct fjord coastline makes its view from the plane breathtaking. If you are a regular visitor of Lefkada island and you need to stay somewhere else in the area or if you don’t like the hustle and bustle of bigger islands but you do want to visit the impressive beaches of Lefkada, then choose Meganisi for your holidays. Here you can adopt a laid-back attitude and enjoy relaxed holidays in a natural paradise. The island of Meganisi is verdant with olive trees, pine trees and a lot of small secluded bays for vessels to moor, like Ampelaki, Mpalos and Elia among others. On the southwestern side of the island there are quite a few sea caves with the cave of Papanikolis being the most well-known. It is 30 metres deep and there’s a small sandy “beach” on the inside of it. Some of the beaches on the island are those of Ai-Giannis, Spilia, Pasoumaki, Ampelakia, Atherinos, Limonari. 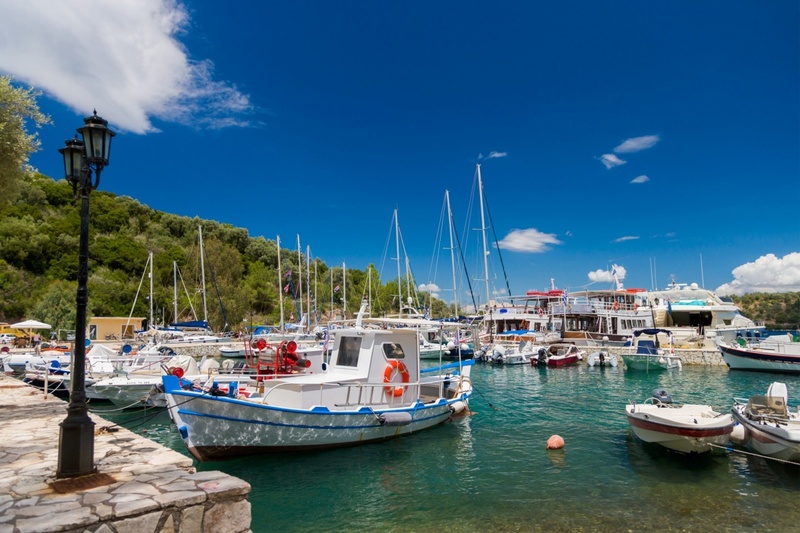 It is a pleasure to stay in Meganisi, as all the main villages are very picturesque with nice beaches, lovely harbours and stoned houses. However, the village Spartohori is the one with the greatest view. The terrain is rocky, but the surroundings are very green and on the way between Spartohori and the main port the unexplored cave of Cyclop is situated. The island has a long history starting from the Neolithic Age and Homer. Its residents took part in the Greek Revolution of 1821. There had been significant growth in the population since the dawn of the 20th century, but in the 50s and 60s most of the island’s residents emigrated to Australia and the USA. From the 70s and 80s the locals were involved in tourism and since then they have been doing their best to offer quality accommodation and facilities with the notorious warm welcome of Greek people. When staying in Meganisi, you will by all means enjoy easy-going holidays in an unwind atmosphere. Nevertheless, if you are still looking for activities and things to do, you can either go for walks and cycle rides or go sightseeing. There are stoned wells and windmills built in the 19th and 20th century scattered around the island as well as churches and monasteries. One of the oldest monasteries on the island, that of Saint John, was built in 1477. Access to the island is very easy. You can come to Meganisi either by plane till Aktio and then drive a 20 minute distance to Nidri. From there, it takes 25 minutes by ferry to arrive on the island. Even if you are on one of the other neighbouring islands, like Kefalonia and Ithaca, or some place in the mainland of Greece, you can access Meganisi by arriving in Nidri. The easy access though isn’t the only reason to visit Meganisi. Come here and feel free to discover the beauty of this island with the unique coastline! Find information about selected Hotels, apartments and rooms in Meganisi to choose the perfect place for your accommodation.